Fresh from the release of their acclaimed new album, Protomarty vivit The Magnet in April, Getintothis’ David Hall can’t wait. 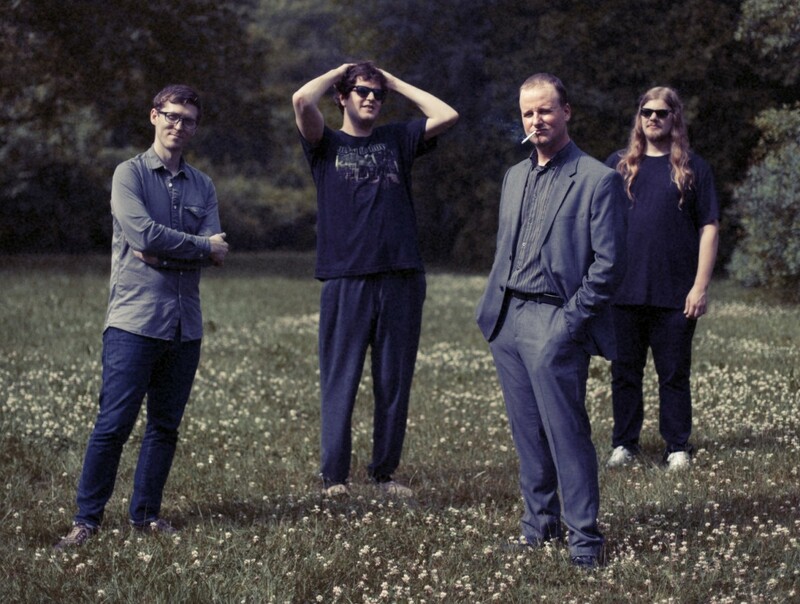 Post-punk four-piece Protomartyr are set to bring their live show to Liverpool in Spring off the back of their impressively received new album The Agent Intellect. Though their background may lie in moody, melodic post-punk, the Detroit band have chosen to both abandon much of the tense restraint they have shown in the past and dial up the volume massively on their latest LP. Released earlier this year on Hardly Art Records, The Agent Intellect is characterised with sudden spikes of distortion, jagged changes in dynamic and dramatic surges in tempo. The record is built around a structure of sandblasting guitars, droning bass and looped, staccato drums, all providing curtains of noise as a backdrop to frontman Joe Casey’s arresting vocal. Now with three albums worth of material under his belt, the Protomartyr singer seems a cult of personality in the making; equal parts Matt Berninger, Samuel T. Herring and Craig Finn, his disarmingly dad-like appearance belying his intense delivery and enigmatic lyrics. Fans of this century’s various iterations of The Fall will find much to admire in Protomartyr, from Casey’s Americanised Mark E. Smith appropriation to his band’s danceable noise-punk, as will anyone who enjoyed Viet Cong or HEALTH’s 2015 releases. Breaking in the new year with an extensive North American tour, the band have plenty of time to get their eye in before hitting these shores to wow The Magnet on April 1 – no fooling.